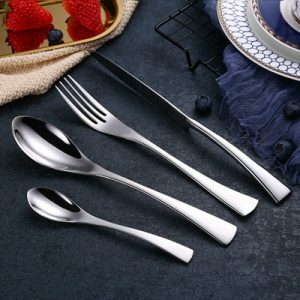 Stainless Steel Cutlery feature: Food-grade raw materials, healthy and safe. Mirror polishing process for easy cleaning. Stainless steel is the abbreviation of stainless acid-resistant steel. It is resistant to air, steam, water and other weak corrosive media or stainless steel. It is called stainless steel; it is corroded by a chemically resistant medium (chemical, alkali, salt, etc.). The steel grade is called acid-resistant steel. 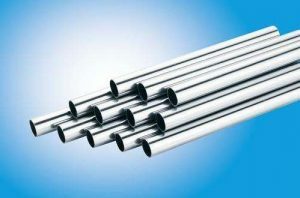 Stainless steel refers to steel that is resistant to weak corrosive media such as air, steam, water, and chemically etched media such as acid, alkali, salt, etc., also known as stainless acid-resistant steel. In practical applications, steel that is resistant to weak corrosive media is often referred to as stainless steel, while steel that is resistant to chemical media is referred to as acid-resistant steel. Due to the difference in chemical composition between the two, the former is not necessarily resistant to chemical media corrosion, while the latter generally has rust. The corrosion resistance of stainless steel depends on the alloying elements contained in the steel. The requirements for welding performance vary from product to product. A type of tableware generally does not require welding performance, and even includes some pot enterprises. However, most products require good welding performance of raw materials, such as second-class tableware, vacuum flasks, steel pipes, water heaters, water dispensers, etc. Most stainless steel products require good corrosion resistance, such as Class I and Class II tableware, kitchen utensils, water heaters, water dispensers, etc. Some foreign businessmen also conduct corrosion resistance tests on products: use NaCl aqueous solution to warm to boiling, after a period of time Drop the solution, wash and dry, weigh the weight loss, to determine the degree of corrosion (Note: when the product is polished, the content of Fe in the abrasive cloth or sandpaper will cause rust on the surface during the test). Heat resistance means that stainless steel can maintain its excellent physical and mechanical properties at high temperatures. The knives and forks with bright surfaces such as mirrors and no burrs have undergone multiple mirror polishing procedures. 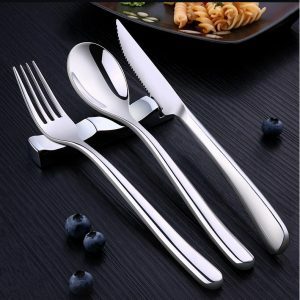 Polished knives and forks look more textured and more refined, and a gourmet meal is a treat. So the following is about the process of the mirror polishing process. The functions of polishing processing technology mainly include: improving surface roughness, eliminating defects such as scratches, ash and fine cracks; reducing surface friction coefficient and improving wear resistance; improving physical and mechanical properties of parts and improving stress distribution on surface of parts; The precision of the parts ensures the assembly process; improves the gloss and brightness of the surface of the parts, meets the requirements of clean production; improves the service life of the parts and the whole machine; improves the bonding force between the plating layer and the substrate, and satisfies the decorative requirements of the appearance.